PayPal Holdings, Inc. is an American company operating a worldwide online payments system that supports online money transfers and serves as an electronic alternative to traditional paper methods like checks and money orders. Receive and sending money is faster and safer while operating this online payment service. Now when we are talking of topping up your mobile airtime, you might be wondering that how is that possible but don't fprget that wr said PayPal is am online payment service that is where the issue of topping up airtime comes in. Topping up your prepaid mobile airtime can be a hassle, especially when on the go with limited access to physical cash and/or retailers. However, As a PayPal user, you can recharge your mobile phone easily at no additional fees directly through your PayPal Account which is more secured and faster. We were talking of PayPal since and you might be confused that is there not any other onlne payment service that has this kind of related offer, Well, there are many websites in Nigeria that allow residents to buy recharge cards online but most of them allow user to only pay with their bank debit cards, I think this will serve as an alternative platform to also send airtime credit to anyone in almost any country in the world. PayPal is one of the top online transaction platforms where people can easily purchase items from anywhere in the world via their PayPal account. Despite the restriction, about 55% of Nigerians have made purchases in the past 12 months via PayPal and PayPal ranked Nigeria as the 3rd highest mobile shopper worldwide in the year 2016. As you are going or reading through this article, I assumed you have got a reliable PayPal account that can send and received payment. 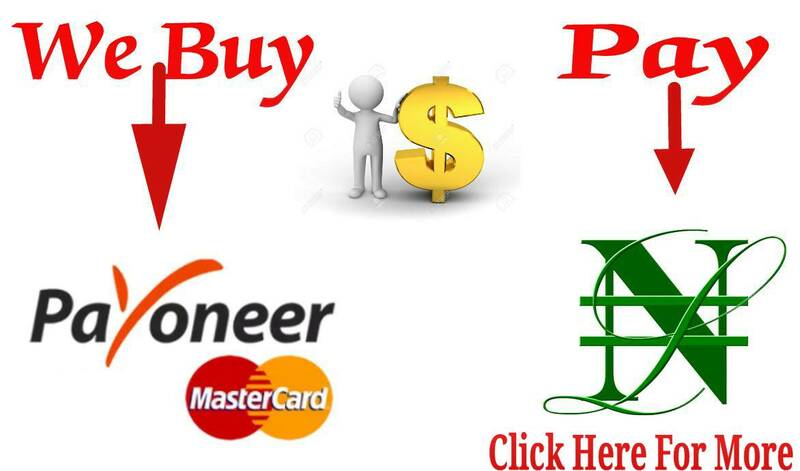 With your South Africa PayPal Account, you are good to go with your Nigeria IP address, you can send and receive money from anywhere in the world, you are free to purchase anything online. With your South Africa PayPal account, you have nothing to fear. To shock and to be frank with you.... you can now transfer your South Africa PayPal funds to other South Africa PayPal users. The restriction has lifted. In case you don’t own a South Africa PayPal Account, Get one here. To my own research, I have some couple of merchants that are tested and trusted for you to purchase airtime for any mobile phone in the world and make payments with Paypal Account. Nigerian networks are not excluded with support for the four major networks (MTN, Etisalat, Glo and Airtel). To start topping up your mobile phone airtime using PayPal Dollar, I will be showing you this process which is pretty simple and straightforward. Once you identify a reputable online merchant. Mostly all you have to do is to choose your country, enter a phone number, select your network operator (MTN, Etisalat, Glo or Airtel), select amount and make the payment. The required amount will be deducted from your PayPal Balance and your mobile number will receive the Airtime Voucher. >>Select your preferred network and click on "Recharge Now"
>>Being the first time, choose New Customer and fill the necessary detail to sign up. 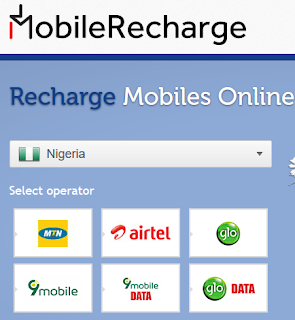 >>Proceed with the payment and your airtime will send to the stated mobile number within few seconds. 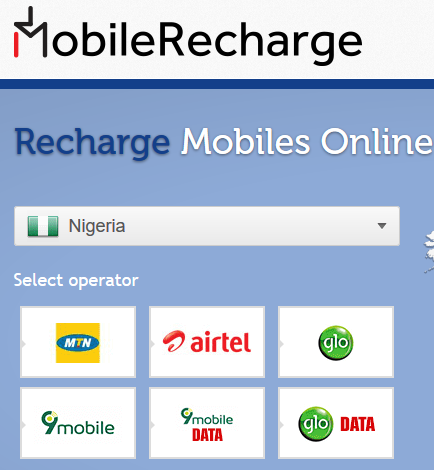 MobileRecharege offers airtime topup from $5.60-$50. The $5.60 is converted to N1,800. Support the 4 major networks in Nigeria (MTN, Etisalat, GLO and Airtel). Orders range from $1- $60. A dollar is converted to N343.35. The same Naira amount (N343.35) converts to Euro at €0.89 and Great Britain Pound at £0.79. >>Select PayPal as a payment option and enter the billing address. >>Log in to your PayPal account to make the payment and your airtime will be sent to you once the payment is successful. NOTE: Recharge.com has a service fee of $0.99 for every transaction you made. When I switched to the British pound, the charge was also £0.99. Support the 4 major networks in Nigeria (MTN, Etisalat, GLO and Airtel). 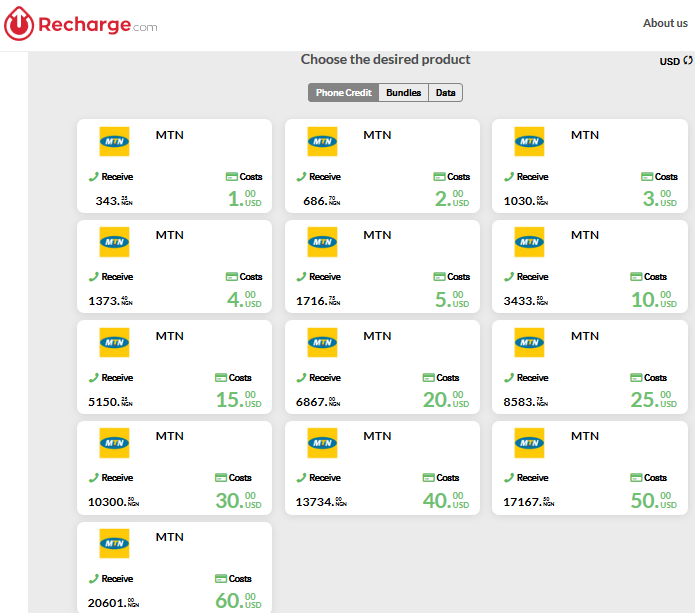 Ezetop also supports the 4 major network in Nigeria and has airtime in the $5-$50 range. Ding also supports the 4 major network in Nigeria and has airtime in the $5-$50 range. 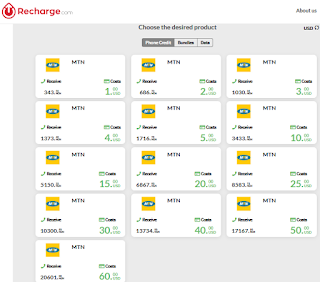 Overseastopup supports the 4 major network in Nigeria and has airtime in the $3.30-$37.25 range.